Large 4"x4" Glass Pocket Watch Display Dome with Walnut Stained Wood Base | What Should I Say? High Quality 4 x 4" Glass Display dome is ideal for displaying your favorite pocket watch! 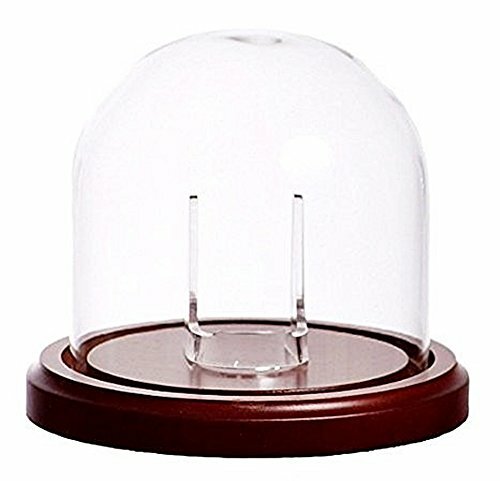 The watch is held on a clear acrylic watch stand placed on the base of the dome. It is pictured with a modern Swiss pocket watch that is about 51mm in diameter (watch not included)." Outer Dimensions of Dome are 4" by 4"
If you have any questions about this product by Dueber Watch Co, contact us by completing and submitting the form below. If you are looking for a specif part number, please include it with your message.